Alexandria, VA – The Barbizon Lighting Company Capitol office recently announced the promotion of Mark Fink has into the new role of Middle-Atlantic Business Development. 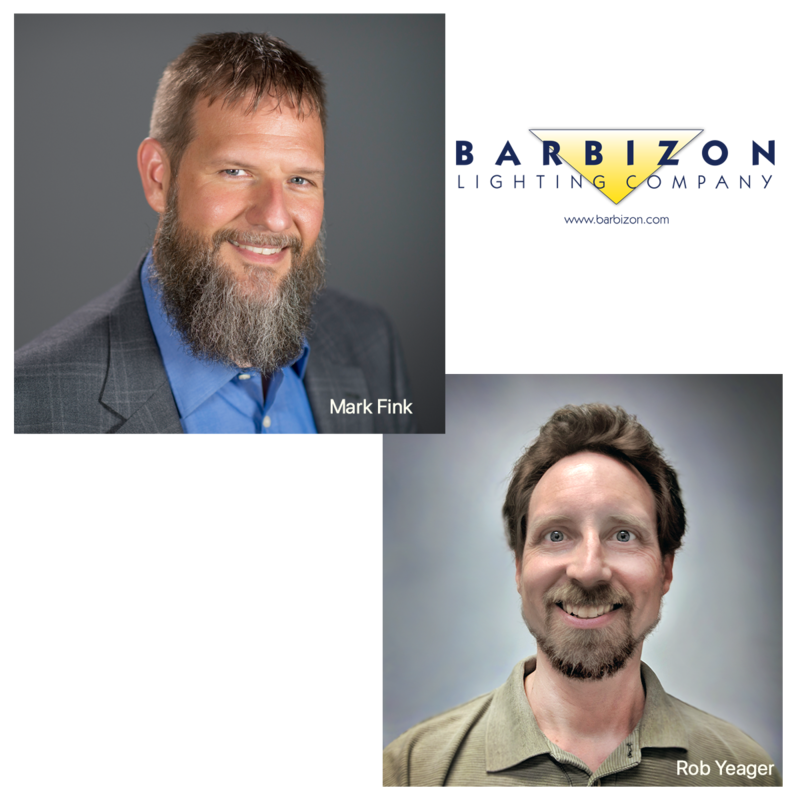 Fink's focus will be on expanding Barbizon’s connections within the lighting community in both our traditional markets as well as exploring new opportunities to aid clients with our unique skill set as they develop projects. Also announced is the promotion of Rob Yeager from a senior project manager into his new role as Systems Manager for the Capitol office. Yeager will be responsible for managing the Barbizon Capitol systems group of integrators, project managers, and technical services staff. You can contact Barbizon Lighting’s Capitol offices at 703-750-3900 or email capitolsales@barbizon.com.